WE are at the time of the year when banks present annual reports and provide justification for the continued confidence of their shareholders based on competitive returns. A number of banks have made public their reports with two of Nigeria’s biggest banks crossing the N100 billion pre-tax profit mark. The top five banks, by most indices, collectively earned about N400 billion in pre-tax profit for the full year 2012. The top five banks and their ranking in the 2012 Global Top 1000 Banks by The Banker Magazine of London are Zenith Bank (322), First Bank (338), GTB (455), Access Bank (541) and UBA (563). 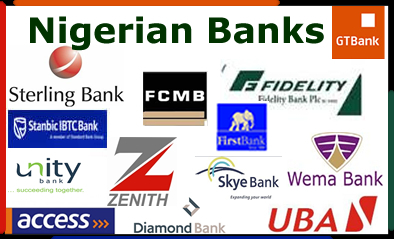 Together they control more than 50 per cent of deposits in the Nigerian banking industry. The landmark profits by these banks which come as a delight to shareholders after the downturn occasioned by the global financial crisis of 2008/09 can be attributed to a number of factors. Foremost are the high interest rates on government bonds and Treasury bills which averaged over 10 per cent for most of 2012. Banks devoted a significant chunk of their investible funds to government instruments as credit to other economic segments became less attractive. Another key factor was the resurgence of the bond market; as many as 11 states governments have issued bonds of varying amounts as at close of year 2012. Banks found a veritable source of low risk and high yield investment in the bond markets with coupon rates mostly in double digits. Furthermore, the Federal Government’s effort to buoy the bond market through tax incentives in order to attract investors can be described as the icing on the cake. Interest earned from investing in federal and state government bonds is exempted from tax. With high interest rates on government instruments, tax incentives and relief from the burden of bad debts provided by AMCON, Nigerian banks couldn’t have wished for more. Year 2012 can be described as a dream year for banks. The enviable position of these banks among their peers both in Nigeria and the African continent is underscored not only in terms of profits and deposit liabilities but also in their strong pan-African image which only a few of South Africa’s biggest banks surpass. They have, following the 2005 consolidation exercise, shown mettle and drive in pushing for dominance on the African continent. All the top five banks listed above have as much as 44 subsidiaries in 18 countries across Africa and in United Kingdom or the United States of America, while some have representative offices in South Africa and China. An interesting and vital fact with respect to these banks which may be lost to observers and commentators is that three out of the five banks came into existence less than 25 years ago. The trio of Access, GTB and Zenith were established following liberalisation of the banking industry by the Babangida Administration in the late 1980s. It is gratifying to note that with strong drive and astute management style they have achieved such giant strides. Few will discountenance the success stories these brands represent and the potential ahead of them. The concern for this writer, however, is the limited impact on the Nigerian society that has provided them with the opportunity to thrive and conquer not just the local scene but set foot on the global stage. The primary role of banks in the economy is that of financial intermediation. Financial intermediation involves channelling funds from segments with surpluses to those in deficit. It might be appropriate to state that financial intermediation can have little or no impact if it is unduly skewed against those who need it the most or are best placed to utilise the funds for maximum impact in the society. A scenario, in which the government is the largest borrower of funds and little or no capital projects to show for it, is in my opinion, negatively skewed. The top tier banks in particular and all the banks collectively, under the negligent watch of the industry regulator and other government entities whose purview cover or impact the banking sector, have failed to channel the capacities and capabilities of our banking sector towards achieving a balanced and positive financial intermediation; one that has real positive bearing on our economy. This is more worrisome when considered against the cosy relationship these banks enjoy with our political gladiators and functionaries in the corridors of power. Also, no segment of the private sector gets as much protection as the banking industry; as demonstrated in the 2009 CBN intervention which, to date, has ploughed more than N4 trillion of public funds into salvaging the industry. While the CBN has repeatedly stated that the protection of depositors as the reason for its action, the profits being declared just two years afterwards should leave no one in doubt as to the real beneficiaries of the use of public funds to intervene in the banking sector – the owners of the banks benefit far more than depositors in the long run. Financial intermediation by Nigerian banks has been disproportionately skewed in favour of governments and the top end of the economic pyramid – blue chip companies. One of the unintended consequences of the CBN intervention was the tightening of credit to the lower base of the economic pyramid – MSME (Micro, Small and Medium Enterprises). Banks were apparently given a basis to avoid those considered riskier borrowers. In recent times, the government has become the borrower-of-choice for banks, as government bonds and CBN’s Treasury Bills have become preferred investment options as against lending to the real sector. Rightly so, banks have every right to put their money where their mouth is, but what should be of concern is sustainability and long-term effect. Government’s unending cycle of borrowings from the domestic economy at high interest rate is not sustainable. An interesting discourse for public consumption would be an in-depth analysis of the level and impact of the cost of governments’ borrowings on our public finances. Payment of double digit interest rate between 12 per cent and 15 per cent to fund government short-term needs (much of which goes to maintaining the wheel of government and not capital expenditure) does not lend to the principle of financial prudence. Besides regulatory protection and use of public funds to prop the industry, a significant portion of deposits held by banks are governments’ funds. On average the Federal Accounts Allocation Committee (FAAC) shares over N700 billion monthly among the three tiers of government. It becomes alarming when the CBN now has to pay very attractive interest as high as 12 per cent at present on Treasury Bills to the banks in a bid to mop excess liquidity and contain inflation. The Monetary Policy Committee (MPC) Rate is at present 12 per cent and serves as a benchmark rate for banks in lending to the economy. The rate paid by CBN on its bills and its benchmark MPC rate would be of little concern but for its adverse effect on banks’ intermediation. Banks would prefer to leave funds with the CBN instead of funding productive private sector businesses. This position was confirmed by the CBN governor in a recent interview in which he stated inter alia “banks are focussed on government bonds and blue-chip borrowers whereas the middle markets are the job creators.” By its short term approach, the industry regulator has created a vicious circle that benefits a few and crowds out the majority of society’s economic base, individuals and small businesses, through a combination of high interest rates and limited loanable funds. The CBN has often stated that its primary objective is control of inflation. This is very well in line with its statutory mandate. But the fixation with interest rate as the only means of controlling inflation is certainly not leading us to the Promised Land economically. The number one spender in the economy remains the Federal Government in particular and all tiers of governments collectively. It is no longer news that as much as 70 per cent of government’s spending is for recurrent expenditure leaving a paltry 30 per cent for capital votes. It is the same funds that CBN spends so much to curtail their inflationary effect. It is high time the CBN sought ingenious ways to control inflation and get our banks deliver on their promise. Significant reduction of CBN rates will force them to seek other avenues for their investible funds. Also the deployment of an interventionist mechanism that will channel funds at competitive interest rates to small businesses would be welcomed. The Micro, Small and Medium Enterprises remain a critical segment whose potentials in the Nigerian economy have been severely limited due to lack of bank credit. The benefits of adequate loanable funds to this segment are huge; from job creation to tax revenues not least are the multiplier effects on security and youth restiveness. While a CBN-led or directed initiative is welcomed and awaited, this is also a call on our banks and the top tier banks in particular to see supportive advances to the MSME segment as a natural responsibility they must bear. As our banks revel in the easy profits thrust at them by our dysfunctional and less than ideal market and regulatory environment, let them channel some energy and resources towards a more inclusive and progressive financial intermediation that will deliver economic prosperity to the majority. Buzim is an accountant and SME consultant based in Lagos.